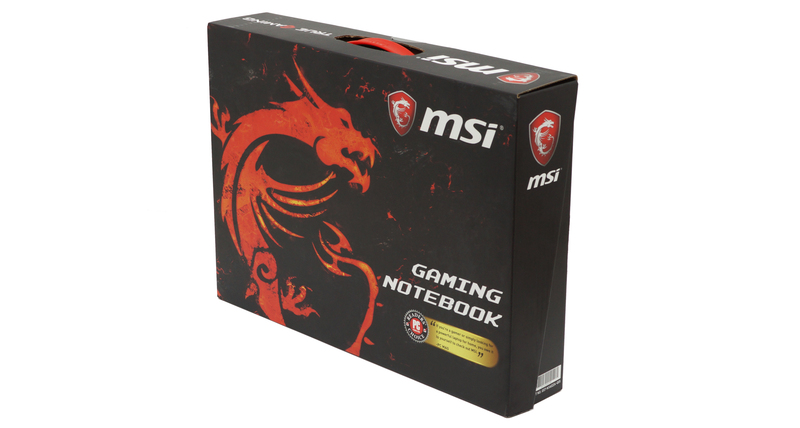 When speaking of MSI, the first thing that comes to one’s mind is gaming. Be it graphics cards, motherboards, or even laptop computers – it doesn’t matter because the company is all-in-gaming. 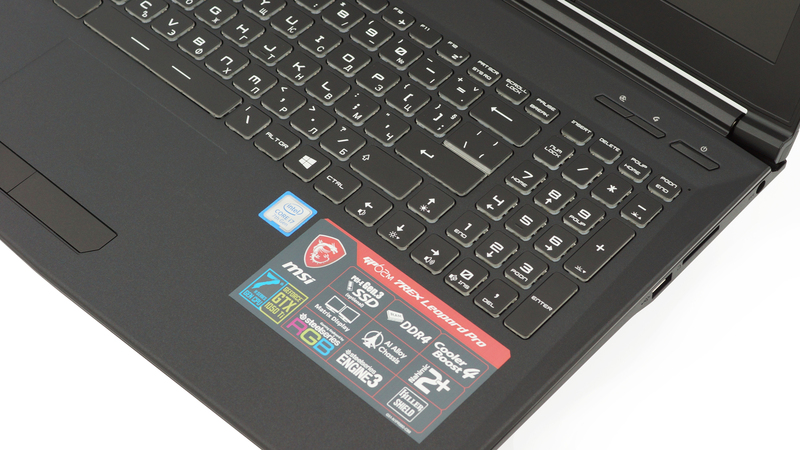 It’s good to say that we finally got our hands on an MSI device, and (spoiler alert) it’s not only one. 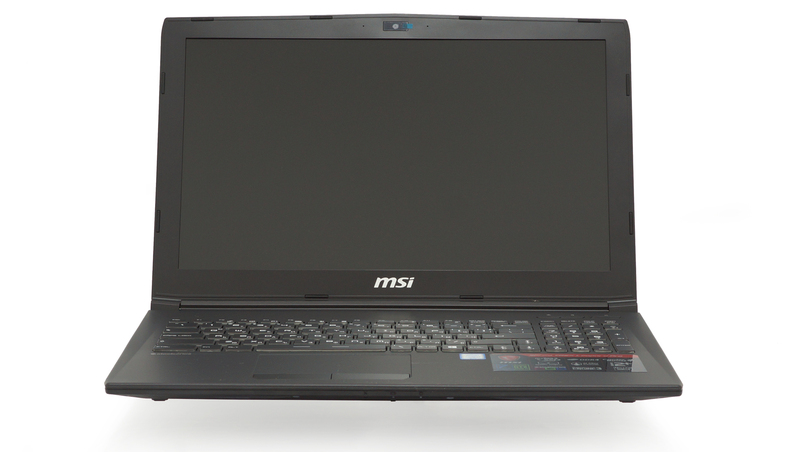 Today we are looking at the MSI GP62M 7REX Leopard Pro (may the last one close the door) 15.6-inch gaming device. In theory, this computer has all you need if you are into gaming on a budget. The configuration we are about to review features the Core i7-7700HQ, combined with an NVIDIA’s GeForce GTX 1050 Ti and 8 GB of DDR4 RAM. Since this is a portable device, the second big thing you need is a proper monitor. MSI markets the one here as an “IPS level”, which we don’t really like because it would surely get some users confused when they receive their device with a TN panel. However, you will see in our Display quality part what MSI really meant by this. There is other interesting stuff about this device such as the dancing RGB keyboard and the complex cooling solution. Stick with us to find out more! 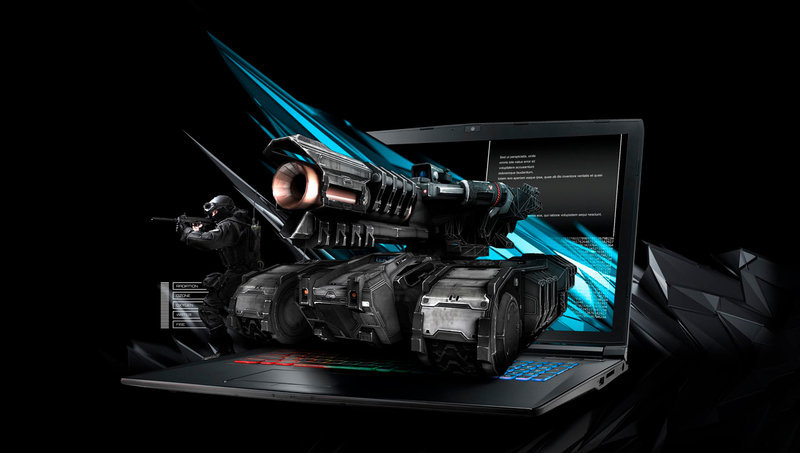 As usual for an MSI device, the GP62M 7REX Leopard Pro comes in a graphically appealing black box. The box itself contains the usual manuals and guides, as well as a driver disk. 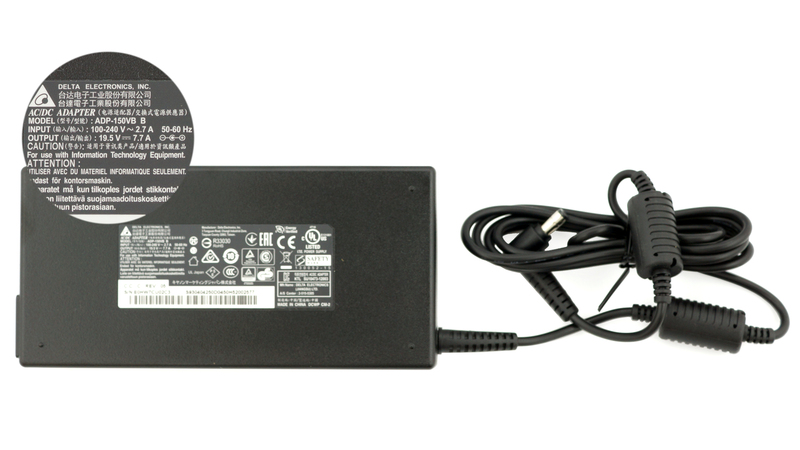 The laptop is placed in a plastic bag and is accompanied by the two parts of the 150W power adapter. 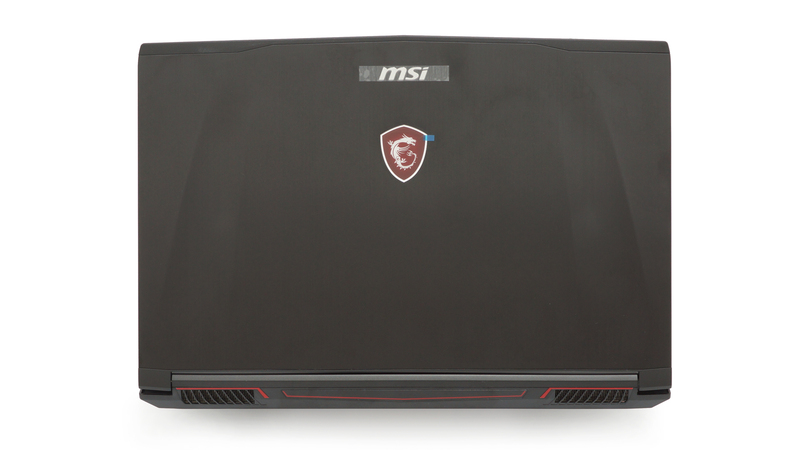 MSI GP62M 7REX Leopard Pro uses a combination of plastic and aluminum. 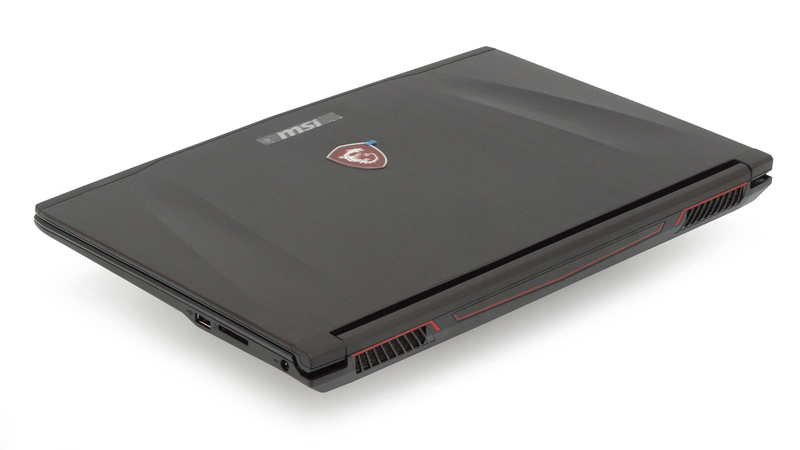 The sleek looking body screams “MSI design” from miles. It has aluminum on top, where you can find the manufacturers logo and badge, glued to the surface. The area around the keyboard is also metal, although the aluminum here is not brushed but rather matte. In addition to that, the screen frame and the bottom part of the device are made of plastic. The Leopard Pro measures at 383 x 260 x 22-29 mm (15.08″ x 10.24″ x 0.87″) which is typical for a 15-inch laptop, while the weight is 2.18 kg (4.8 lbs), making it fairly lightweight for a gaming device, keeping in mind that it has two fans/heatsinks and the cooling design, as you will see in the next section, features more heat pipes. The lid itself requires two hands to open and allows a little bit of bend but nothing scary. Moving our attention to the face of the device, we can see the beautiful keyboard and the manufacturer definitely wants you to know that it’s made by SteelSeries (badges everywhere). It has a full-size layout and features RGB backlight, which offers some funny modes that resemble an equalizer, waves splashing and other common eye candy. While not meant for fast typing, the keyboard seems to be perfect for gamers, as it gives a little soft feedback, while the key travel is relatively long. The touchpad here is adequate and responsive, and we very much appreciate the stand-alone keys, meaning the touchpad won’t wobble when you press the keys, which we highly appreciate. An interesting feature of this device is the three dedicated keys in the top right corner. The one on the right is the power button, while the other ones can be modified, as by default they are assigned as a cooler boost one and a shortcut to the “Dragon Center” utility. Port-wise the device has everything you need. On the left side, you’ll find three USB 3.0 ports, two of which are Type-A and one Type-C. In addition to them, here are located the RJ-45 connector and separate jacks for headphones and microphones. This device is also equipped with an HDMI port, which supports a 4K resolution at 30Hz, and a mini-Display Port. On the other side of the Leopard Pro, one USB 2.0 port is sent to keeps company to the SD card slot and the charging port. From this point of view, you can see the design of the back feet, which lift up the device in order to enhance the cooling capabilities. One thing that takes our attention is the bottom panel of the laptop. It reveals almost all the internals with its huge vents. This obviously enhances the cooling efficiency of the device but also shows off the heat pipe design. Then again on the back, we have some more grills which are dedicated to the exhausted hot air. Getting inside GP62M 7REX happens fairly easily. You need to unscrew some 17 Phillips head screws, which are of the same size – rarely seen on a notebook of any kind. In order to access the last one of them you need to remove the “factory seal”, which ruins your warranty, so keep that in mind. As you can see from the following image, the cooling solution consists of a total of six heat pipes, leading the heat to two heatsinks that are cooled by two small turbines. It’s interesting to compare the modesty of the CPU cooling, using two small heat pipes, next to the three larger ones placed on top of the GPU. There is also one each, dedicated to the VRMs and the graphics memory chips. 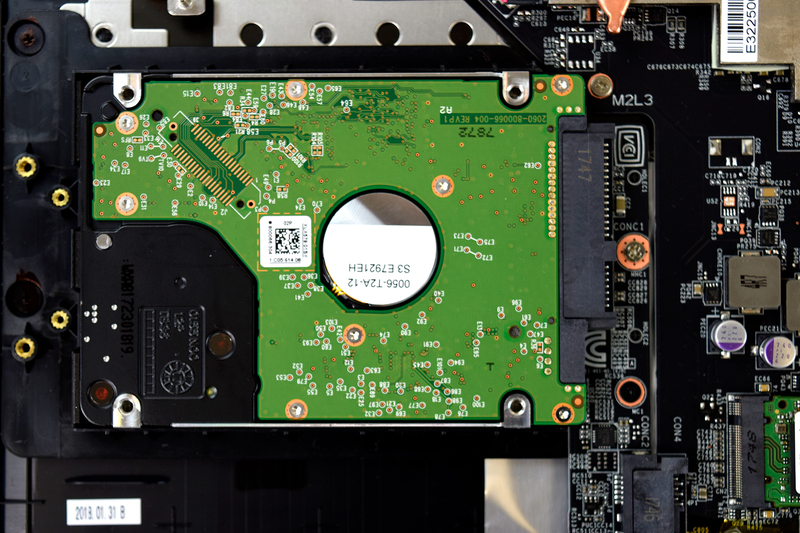 In addition to that, you can see the 41Wh battery in all its beauty in the upper part of the image. Right beneath the whole cooling circus are located the DIMMs for the DDR4 RAM, currently occupied by one 8 GB module, but the laptop supports up to 32 GB. 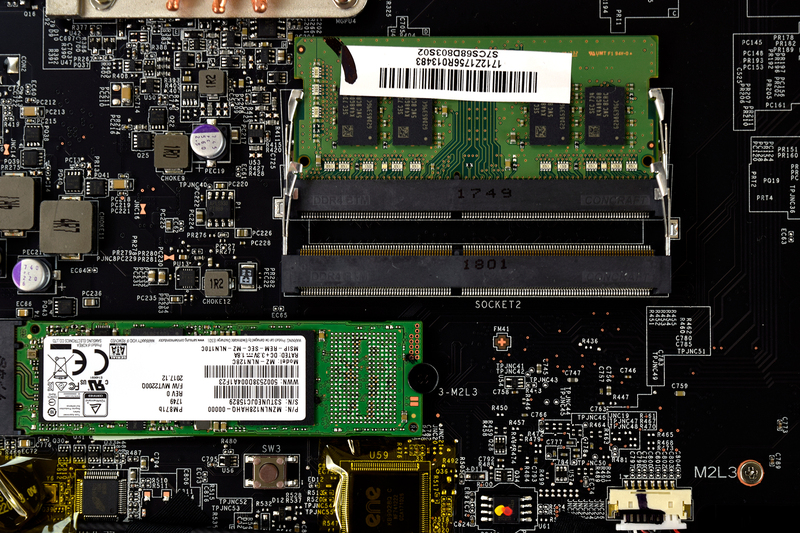 Next to them you can see the M.2 slot which supports PCIe NVMe drives, although the one found here is a more, let’s say, modest one – Samsung PM871B M.2 SSD. MSI GP62M 7REX supports storage expansions via its old-school SATA port. 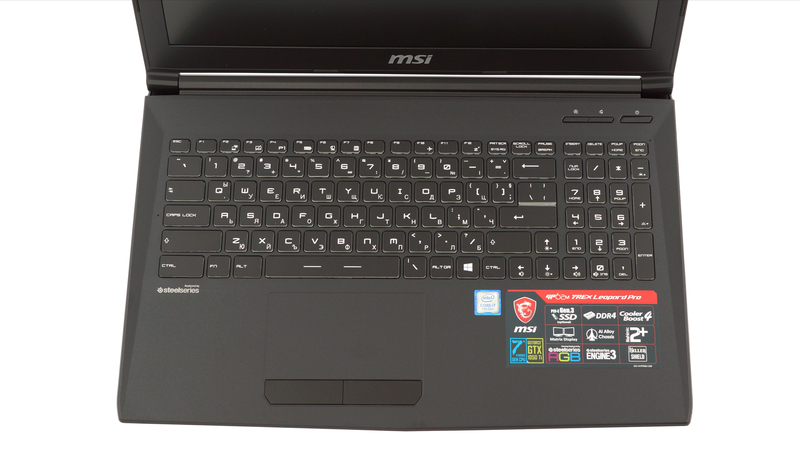 MSI GP62M 7REX comes with a 15.6-inch Full HD TN panel, with a model number N156HGA-EAL. The resolution of the display is 1920 x 1080, which gives a pixel density of 142 ppi and a pitch of 0.18 x 0.18 mm. The screen can be considered as Retina, when viewed from distance further than 60 cm – adequate for this size of a device. The viewing angles are uncomfortable, as seen from the illustration below. We measured a maximum brightness of 230 nits in the middle of the screen and 211 nits average for the whole area, with the highest deviation being 13%. The color temperature on a white screen and full brightness is 7340K, which is a little colder than the sRGB standard of 6500K. In addition to that, the color temperature of the grey scale at default settings goes as far as 11000K, which is a cold, bluish light (corrected by our profiles). On the image below you can see the uniformity of the display, which represents the amount of leaked light from the light source of the screen. Values of dE2000 over 4.0 are unacceptable and should not occur. 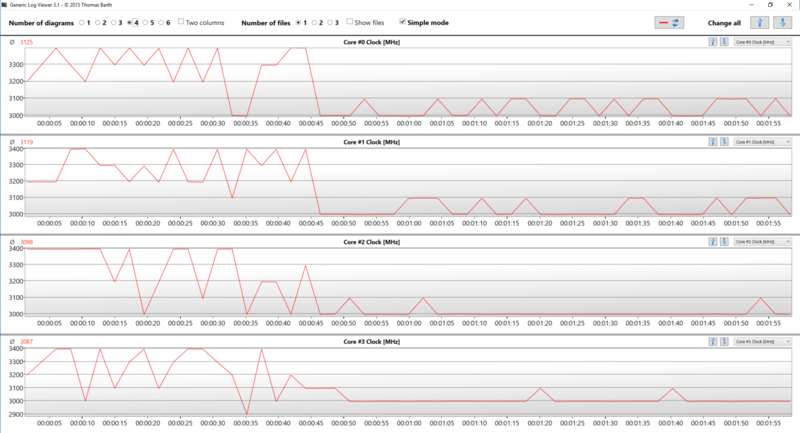 The contrast ratio we measured was mediocre – 330:1 (270:1 after profiling). The next image shows the sRGB coverage of Dell Inspiron 15 3567’s display. The color reproduction of the human eye is shown via the “CIE 1976 Uniform Chromaticity Diagram”. 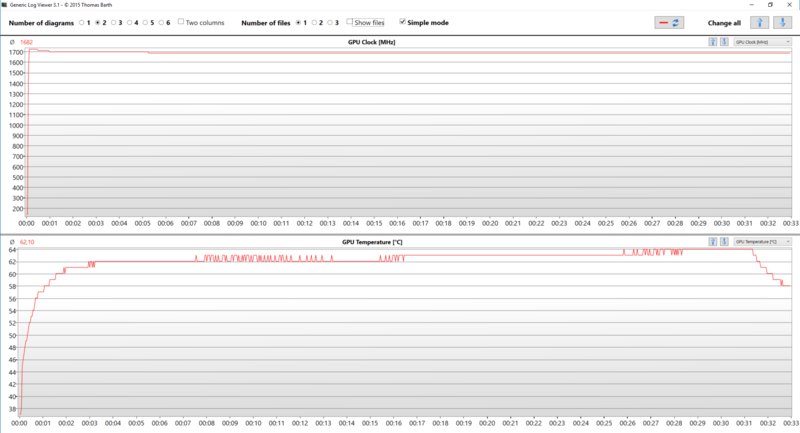 In the middle of the dark-grey triangle are located the standard colors used by Internet and digital TV – rec.709/sRGB. In addition to the Adobe RGB color space, used in the professional photography, we’ve included the color gamut used by world-known movie studios – DCI-P3, and UHD-digital television (Rec.2020), which is very hard to achieve by modern display units. Here we saw why the screen is marketed as “IPS level” – the display not only fully covers the sRGB/ITU-R BT.709 (web/HDTV standard), but it also spreads to cover 96% of the DCI-P3 gamut in CIE1976, providing the gamers with saturated and attractive colors, rarely seen on a TN panel. Our “Gaming and Web design” profile is designed to show optimal color temperature (6500K) when the luminance is at 140 nits and sRGB gamma. The following chart shows us the capabilities of comfortable gaming experience in terms of the darkest parts of the image. 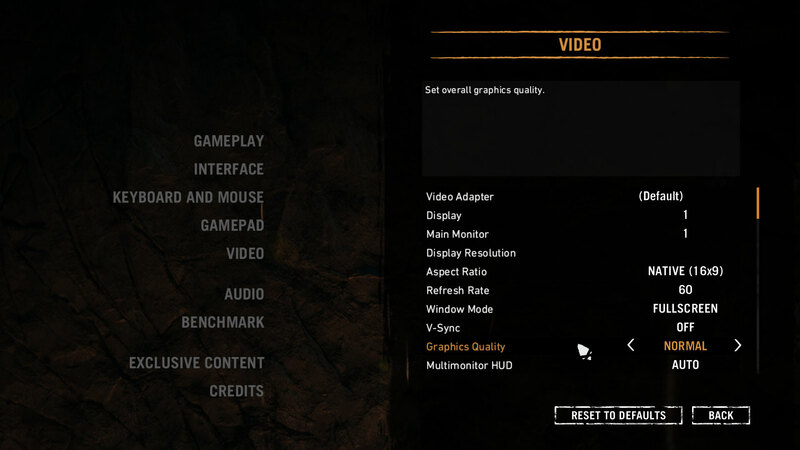 The left side displays the results of the screen at default settings, and the right one shows us the results with “Gaming and Web design” profile installed. The horizontal axis gives us the levels of grey, and the vertical one – the screen brightness. 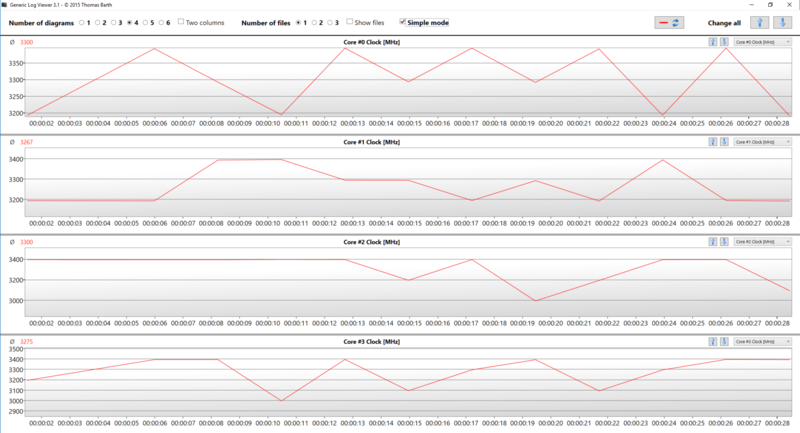 You can check how your device displays the first five levels of grey – 1% – 5% White – via the graphics below the charts. The image you see depends on several factors such as the panel of the screen you’re currently reading this article on, its calibration, your eyesight, ambient light, viewing angle, and more. We test the reaction time of the pixels with the usual “black-to-white” and “white-to-black” method from 10% to 90% and vice versa. 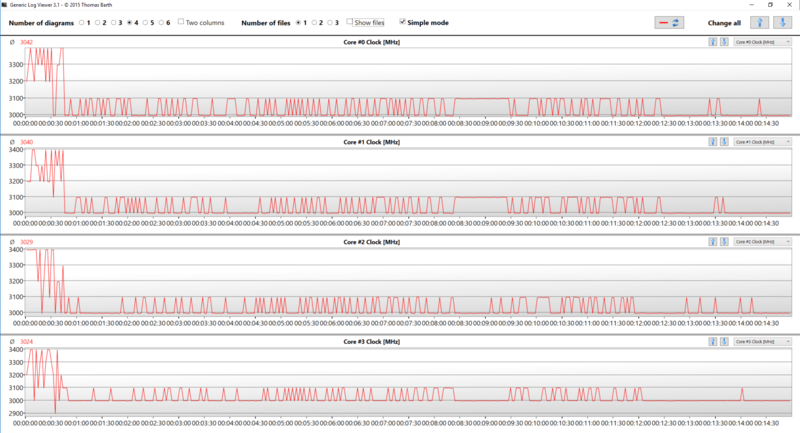 We measured Fall Time + Rise Time = 16 ms.
Pulse-width modulation (PWM) is an easy way to control monitor brightness. When you lower the brightness, the light intensity of the backlight is not lowered, but instead turned off and on by the electronics with a frequency indistinguishable to the human eye. In these light impulses, the light/no-light time ratio varies, while brightness remains unchanged, which is harmful to your eyes. It can be particularly harmful to the eyes and the brain at levels lower than 300 Hz. You can read more about that in our dedicated article on PWM. The brightness of MSI GP62M 7REX is PWM-adjusted only up to 60 nits and furthermore, it does it with very high frequency, which highly reduces the negative effect, making the device comfortable for use for long periods of time in this aspect. MSI GP62M 7REX’s display in this modification is typical for a gaming device. It has a huge color range. Its backlight doesn’t pulsate and so it doesn’t hurt the eye throughout a wide specter of Brightness levels. 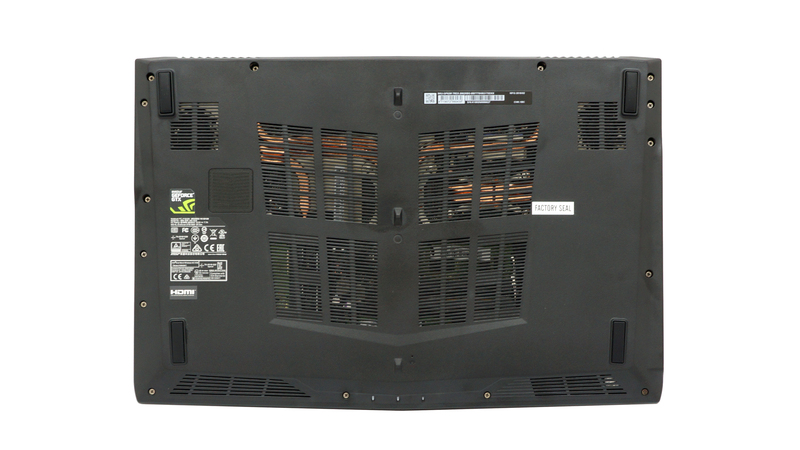 The TN panel is fast and has a Full HD resolution. 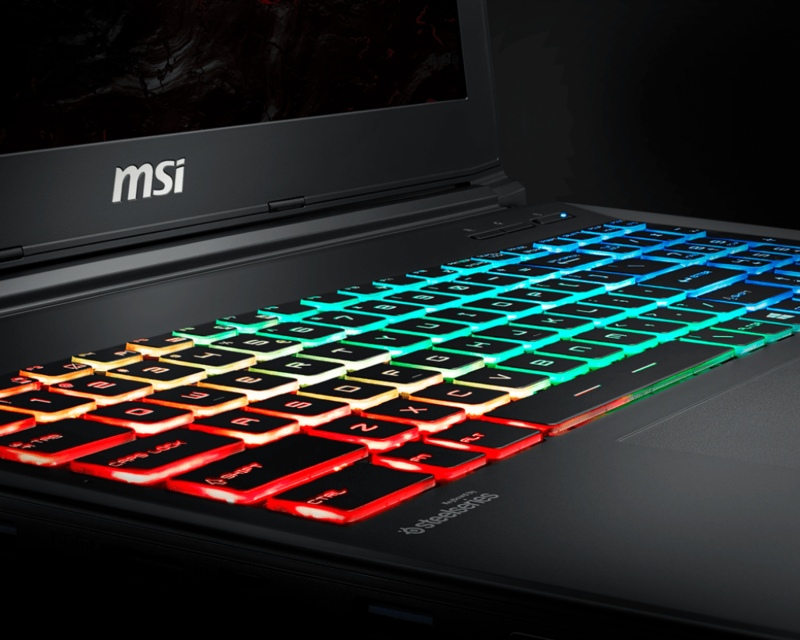 However, the luminance uniformity is unsatisfactory, although it’s not a big deal here since the laptop is meant for gamers. Sadly, but typically for a TN panel, the viewing angles are terrible. MSI GP62M 7REX has a good quality sound, although the low, mid and high frequencies have some distortion in the clarity. While the preinstalled Windows 10 Home edition has everything installed already, and the device comes with a dedicated disk with all the drivers, you can also find those on MSI’s official web page. In addition to that, the GP62M 7REX also has some special software, enhancing the gaming experience, and giving you control over fan speeds. The Core i7-7700HQ is Kaby Lake’s top-shelf direct successor of the Skylake Core i7-6700HQ offering slightly higher clock speeds on the almost identical architecture and TDP. While Intel markets Kaby Lake’s architecture as “14nm+”, the Core i7-7700HQ is still on the same 14nm node with the only significant update being in the iGPU department. That’s why the slightly altered clock speeds (2.8 – 3.8 GHz vs 2.6 – 3.5 GHz) bring not more than 10% increase in performance compared to the Core i7-6700HQ. We still have the supported Hyper-Threading technology with 4/8 – core/thread design, the same 45W TDP, and 6MB cache. Here you can see an approximate comparison between the GPUs that can be found in the MSI GP62 LEOPARD (7th Gen) models on the market. This way you can decide for yourself which MSI GP62 LEOPARD (7th Gen) model is the best bang for your buck. This configuration of MSI Leopard Pro is equipped with a Samsung PM871B M.2 PCIe SSD with 128 GB of storage, although it could be a different drive in other regions of the world. Its speeds are nothing spectacular, explained by the non-NVMe type. The device reached 543 MB/s Read and 524 MB/s Write speeds. The Core i7-7700HQ “ticks” at 2.8 GHz base frequency and goes up to 3.8 GHz in Turbo mode. 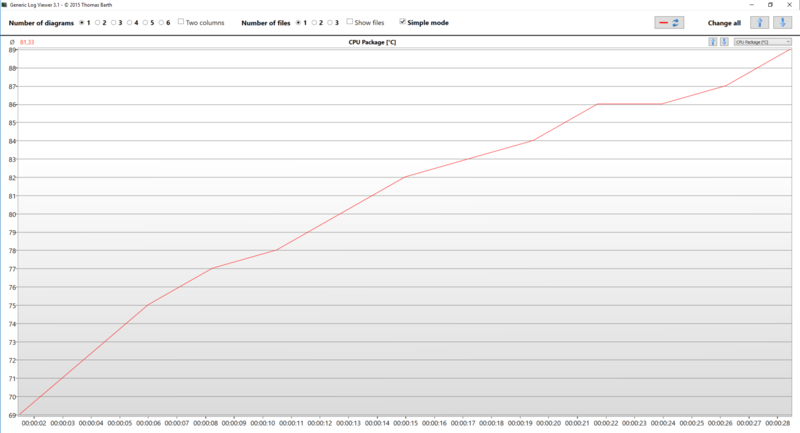 Before we started the test we measured that the CPU was idling at 38 C. Only 30 seconds after the beginning was scorching at almost 90 C while the average frequency for this period was 3.3 GHz, topping at 3.4 GHz. We have to note that the cooling system on this device favors more the graphics card since it’s cooled by both fans, while the CPU is connected only to the left one. 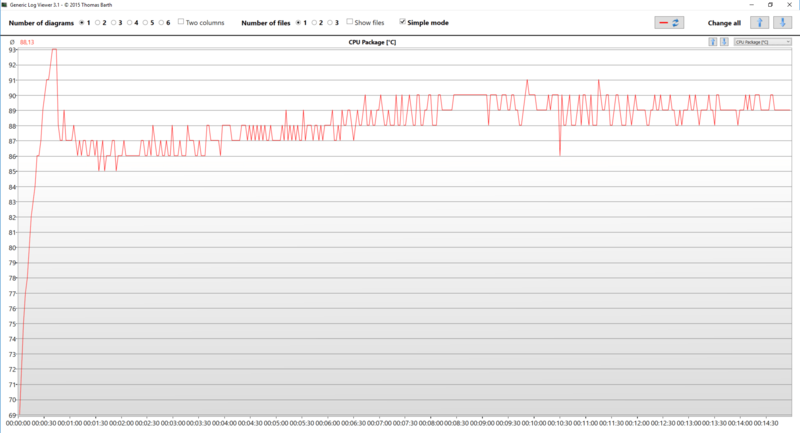 From the next minute and a half of the torture, we saw that the frequencies stabilized at around 3.0 GHz while the temperatures were fluctuating between 85 C and 87 C, after reaching a maximum of 93 C.
At the end of the CPU torture test we observed a little rising in the Processor temperatures, giving an average of 88 C for the whole test, which seems a little too high, but the good thing is that – first, no thermal throttling occurred, and second, those are extreme conditions, that will never occur in real life use. Next, we checked the thermals while torturing the GeForce GTX 1050 Ti. 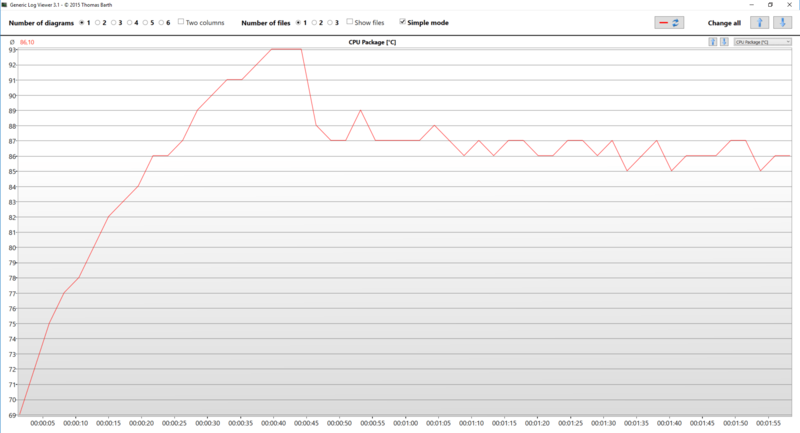 It was idling at 37 C. Thermal throttling wasn’t present here either. Not only that, but now it was time for the custom cooling solution of MSI to shine – the maximum temperatures of the GPU core never exceeded 64C, while the clocks sustained just shy of 1700 MHz. Also, it was the perfect moment to test the dedicated button that boosts the fans to 100%. While the temperatures dropped by 6 C, it didn’t come at no cost. When you press the mighty key, the device starts to sound like the turbines of a Boeing 747 taking off to the paradise of the Hawaiian islands. 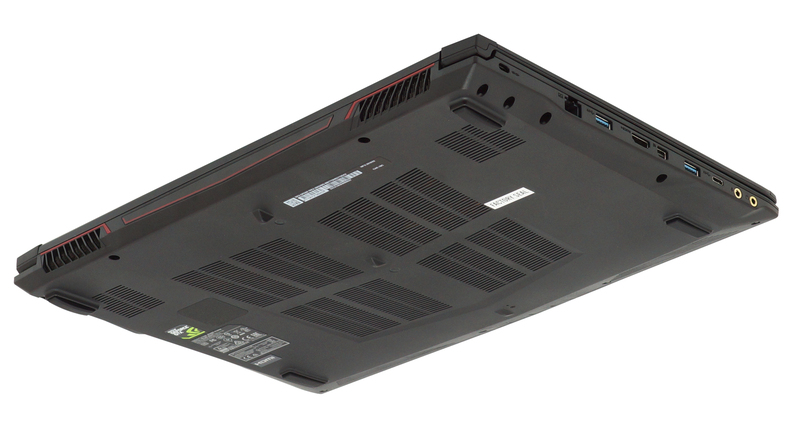 When compared to one of the most popular notebooks using GTX 1050 Ti on the market – the Lenovo Legion Y520, the Leopard Pro performs very similarly, if not the same. What we liked more was actually the thermals of the GP62M 7REX. Not only it runs cooler than the Y520, but it also offers the possibility of pumping the fans up to 100% for additional cooling headroom. One thing that got us disappointed was the battery life of this device. Obviously, gaming on a battery is not the smartest thing to do, but here you’ll get just 34 minutes! Even though you can browse the web for around 4 hours and a half, and watch movies for three hours and a half, it is unacceptable to have such low gaming battery life. Anyhow there was something strange in the first place – the use of a TN panel. 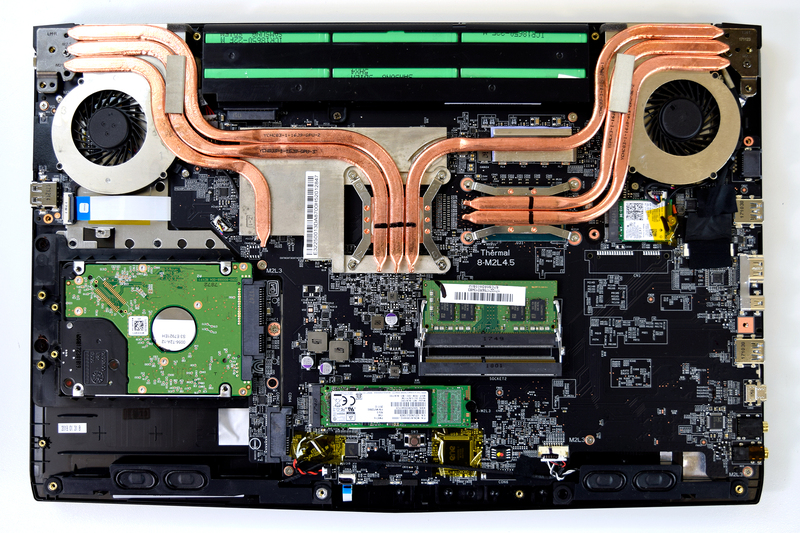 Once we tested the unit, we figured out why MSI used such a panel on a gaming notebook. The answer is in the responsiveness – these types of panels are more than twice as fast as the IPS counterpart, which gamers favor. Despite the poor viewing angles, we were impressed by one more characteristic of this screen – the color range is astonishing – it spreads to the DCI-P3 gamut and covers 96% of it. Unfortunately, those colors are not the most accurate ones unless you install our profiles, which bring the dE values from 11 down to just 2.1.